I've tried integration of Maya file in Terragen, and it's seems to work. For the moment your object must have less than 16 textures. here is some tests that i've made with Maya imported objects. A simple object with 1 texture file. 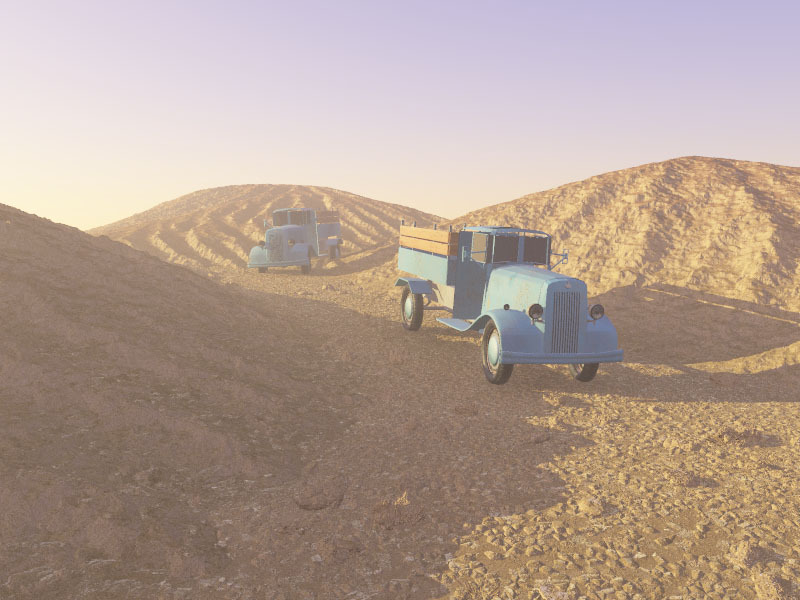 And in that scene some faces don't appear, maybe because I've made a mirror of the truck, but in Terragen the texture is in 2 side. 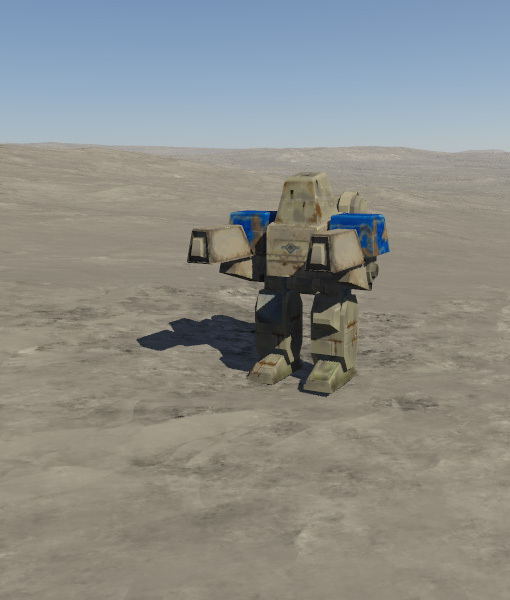 These are nice (i already know some), but i want render objects separately and composite them later with the landscape. I think it's just a matter of having the same camera and landscape (or part of it) in both terragen and maya (or other). is the robot a TASpring model? 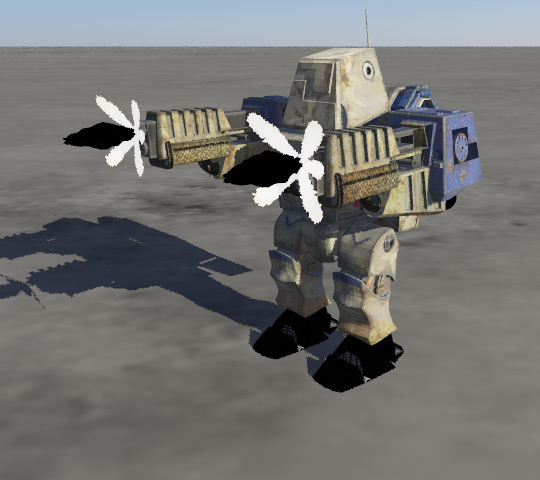 the first robot was made by a friend for evolva models, and i made the second for an animation. WE are everyware, we are you neighber, your girlfriend, your dog. we come in the night and tip-toe to the computer for a good battle ageinst scripted battles.